Stephen King is a phenomenal writer and one of the reasons is his linking of major and minor characters, locations, events and references throughout his books. Notably his stories about Derry and Castle Rock. Me being a Constant Reader has always been fascinated with this. I have tried many times to piece together the many references, but failed. 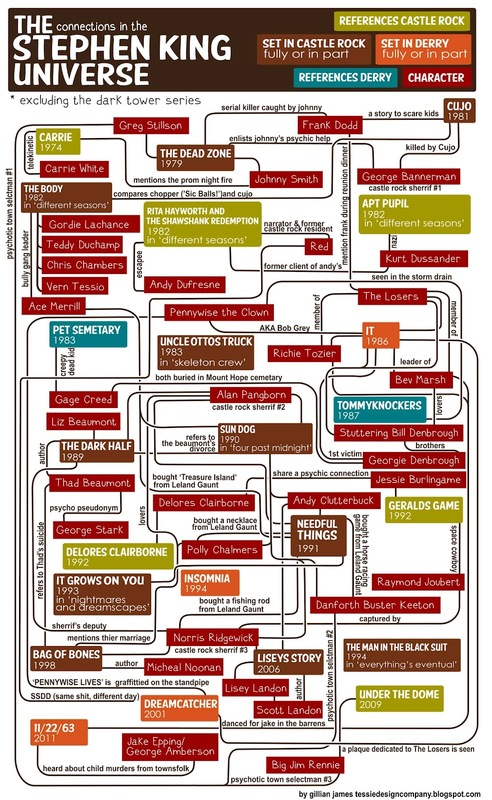 Now another fan has gone through the trouble of creating a flow chart of the Castle Rock and Derry Universe.